Luis Robles – The Red Bulls will go into Sunday’s semifinal matchup with a slim one-goal aggregate lead. This leaves New York with little room for mistakes and puts pressure on goalkeeper Luis Robles to replicate his clean sheet performance from the first leg. In the four times Robles and the Red Bulls have gone up against United this campaign, the opposition has only been able to find the back of the net twice. In those four games, the 31-year-old keeper has kept three clean sheets. With the pressure on, can he add to this impressive total? Bill Hamid – Despite losing the first leg, Bill Hamid still had a very impressive performance between the pipes for United. If it weren’t for his key saves throughout the match, United’s chances of advancing would be very very slim. 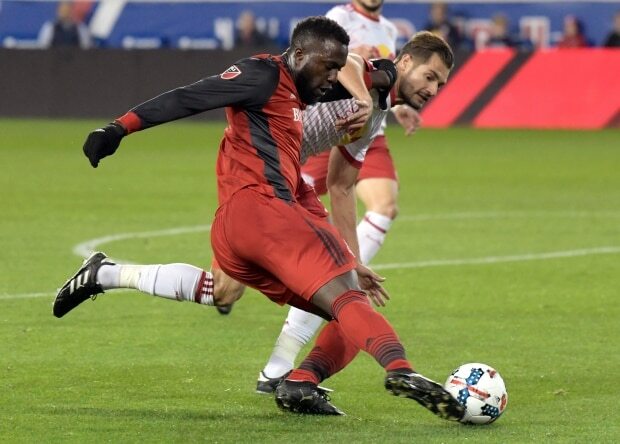 Going up against the likes of Bradley Wright-Phillips, Lloyd Sam and Dax McCarty, chances are that Hamid will have another busy day ahead of him on Sunday. Kei Kamara – This matchup pits two of the league’s hottest strikers against each other. For the Crew, Kei Kamara stands as the top offensive threat on the team after, scoring 22 times in the regular season. Last week in Montreal, the striker found his opportunities limited by a stout Impact defense. 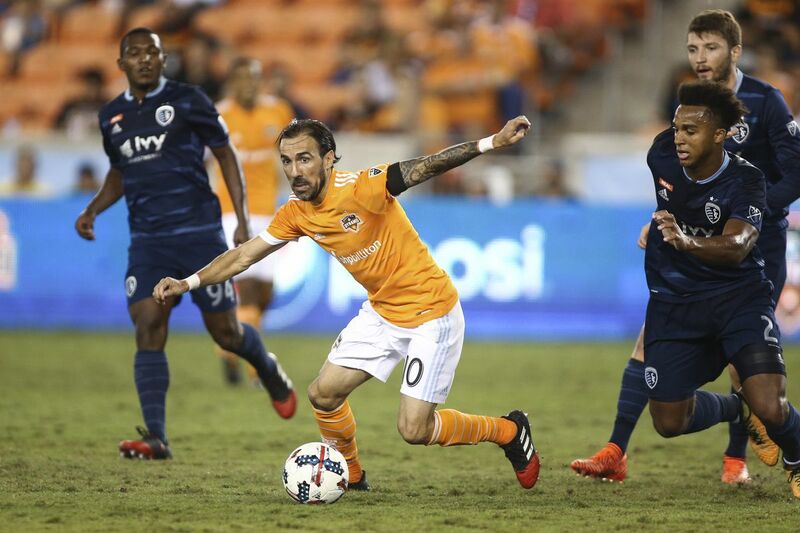 Kamara has squared off against the Impact three times this season, and in all three of those matches he has failed to score or even register an assist. In an elimination match, the Crew need their star striker to step up and find the form that made him nearly unstoppable in the regular season. Didier Drogba – Even at 37, Didier Drogba still has the talent and strength that made him a champion and a legend at Chelsea. The Ivorian striker has already found the net once this postseason during the Impact’s 3-0 rout of Canadian rivals Toronto FC. Similar to Kamara, however, Drogba found his opportunities on the ball limited in the first leg of this matchup. While Montreal don’t necessarily need to score to advance to the conference finals, I don’t think that will stop them from trying to feed their new superstar the ball. 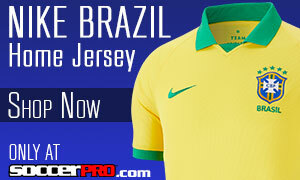 Look for Drogba to find the back of the net and continue his impressive debut season in the MLS. Fabián Castillo – FC Dallas have one of the most exciting young players in the league playing for them this season. Their Colombian striker Fabián Castillo currently leads the team with 10 goals and sits second with seven assists. This breakout season is coming before the 23-year-old has even reached the prime of his hopefully long and successful career. It was Castillo’s goal in Seattle last week that put Dallas ahead early, before eventually falling to the Sounders. Can he continue to shine in this elimination match and keep Dallas’ playoff hopes alive? Clint Dempsey – Seattle would be going into this match with a completely different mindset had it not been for Clint Dempsey’s amazing free kick last week at CenturyLink Field. The high of scoring that game-winner may now be replaced with feelings of disappointment, though, as the U.S. veteran was omitted from Jürgen Klinsmann’s roster for the upcoming World Cup qualifiers. This season, the 32-year-old striker has had to battle through injuries and has been limited to just 22 appearances to date. Despite that limited playing time, Dempsey has still been able to be one of Seattle’ most important weapons on offense with 12 goals and nine assists. I’m interested to see if this U.S. omission will add a little fuel to Dempsey’s fire Sunday night. David Ousted – You would have a hard time arguing that any player had a better performance than Whitecaps’ keeper Paul Ousted last weekend. Ousted kept Vancouver alive in Portland with an unbelievable display between the pipes to keep the Timbers off the score sheet. The save of the night had to be his acrobatic denial of Diego Valeri’s free kick in the closing stages of the match. With little offensive support in front of him (Vancouver have scored just three goals in their last six matches), the pressure to advance will depend on Ousted’s ability to deny the Timbers yet again. 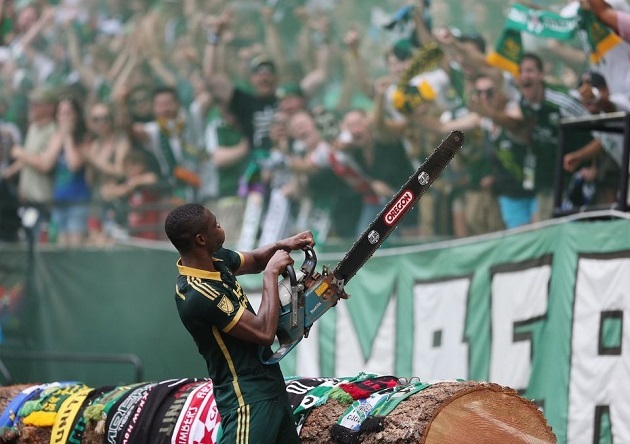 Darlington Nagbe – On the other end of Ousted’s unbelievable performance last week was a frustrated Portland attack. One of their leaders in the midfield, Darlington Nagbe, was unable to inspire a chance good enough to beat the Whitecaps’ in-form shot stopper. The 25-year-old midfielder (best known for his golazo back in 2011) has been quiet statistically this season, but has established himself as one of the Timbers most important players in attack. This impressive form has finally earned Nagbe a call-up to the U.S. National Team for their World Cup Qualifiers, but will he be good enough to help Portland advance? His ability to create chances will be a major factor in determining Sunday’s result. I am currently a senior at the University of Missouri in the Journalism School. I have been an avid follower of Manchester United since 2006 and of course I support the Stars and Stripes. Due to my St. Louis high school allegiances, I am a big supporter of Brad Davis and Sporting KC in MLS.